Environmental experts, politicians and representatives from the agricultural sector have gathered to discuss how the UK can better manage its soils for the benefit of people and the environment. The conference, Creating resilient catchments: Better Soil Management, was organised by Westcountry Rivers Trust (WRT) and brought together key bodies and individuals to understand the drivers and interests in soil management, paving the way for future collaboration. 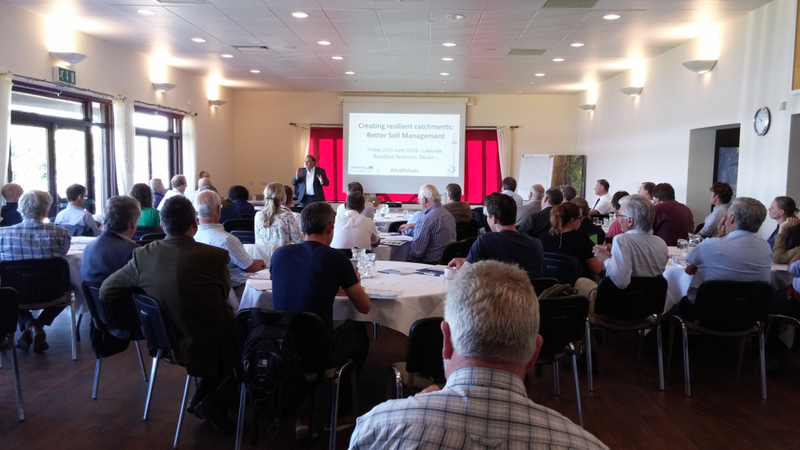 Held on 22nd June at Roadford Lake in Devon, the event was the first of its kind, bringing people together to share land management practices and discuss how the UK can change its approach to looking after its soils. The degradation of soils is often caused by intensive agriculture and is known to be a major trigger for flooding and pollution. “This event brought together interested parties from the worlds of politics, agriculture and the environment to share views and practices. The good news is that there is clearly an appetite for change from across these groups but that can only be achieved if we work together. Here at WRT, we are committed to collaborating with these groups to deliver action and help us turn around the way we manage our soils. 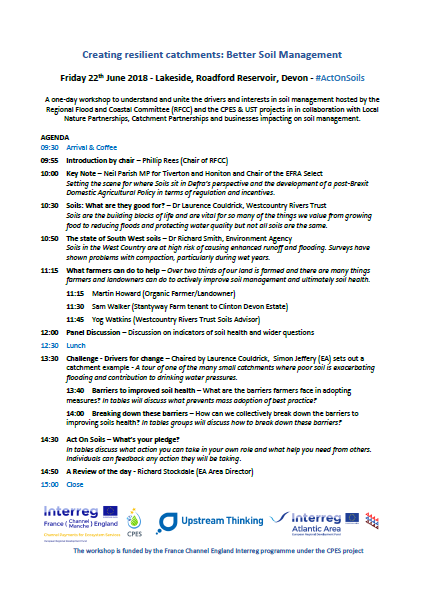 The day covered topics from the state of Westcountry soils, to what farmers can do to help. It included sessions examining the barriers and drivers to change, including regulations and incentive payments.